You should note that you can use any number of inserts in a project and, indeed, on a single Workpage. For example, the commonest combination of inserts is an Address insert followed by a Notes insert. This combination allows you to set up a database in which you can record all contact details in the Address insert/s and details of all your dealings with the contact in the Notes insert. Also note the use of the Hyperlink. This is particularly useful if you wish to connect an entry in a Docupraxis® project to another document (e.g. another document file, a spreadsheet) in the same or another folder on your computer. The Notes insert is a function you are likely to use more than any other. It provides you with a grid in which you can enter any activity for any project. The current date is automatically entered on the left. If you wish to change the date, click on the current date and you will be presented with a calendar from which you can select the date you want. You can type as much as you wish into each note. To add a new line to the grid, you can either click on return at the end of the last note entry, or you can click on the top line of the grid, where it says “click to add a new line”. The Note insert allows you to keep a record, in date order, of all activity related to the node with which it is associated. What is more, every entry in any Note grid is automatically copied to the Daily Activity Log (DAL). This log assembles all the notes from every Note grid in every project, so that you have a complete list of everything you have done, day by day, in day date order. either have one long list which you can order alphabetically using the A/Z function on the Ribbon Menu. 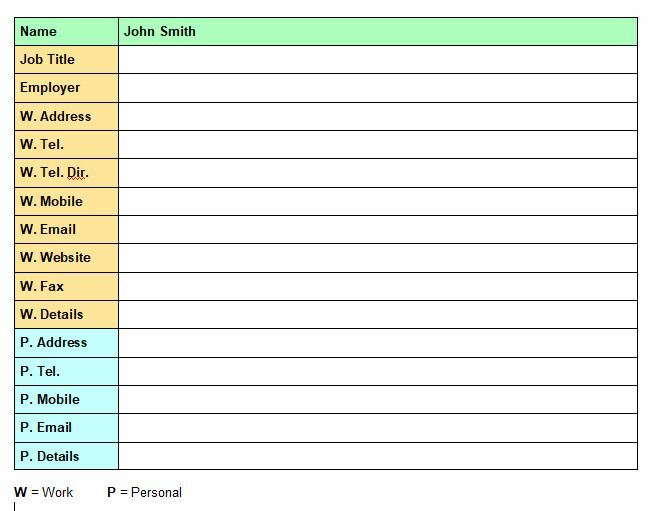 Using the Notes grid, you can record in date order all interactions with the individual or organisation. Using the hyperlink facility you can connect to any documents on your computer which are relevant to any entry. To use the Search facility, first click on SEARCH on the Main Functions Menu, then enter the search term in the search box. Select 'Highlight Results' or 'List Results'. Then click on the Search symbol (a magnifying glass). Every entry containing the search term (whether in the Structure or on associated Workpages) will be highlighted or listed. To clear the Search box, click on the eraser symbol. If you have chosen the 'List Results' option and you wish to restore the full display of the Structure, click on Highlight Results. NB: If you find that highlighting of a previous search persists on a project's Workpages after you have ended the search, you can clear any such highlighting by going to Tools on the top Structure menu and clicking on 'Clear all highlightimg'. Use the To Do list insert. The To Do list insert can be used to manage a simple list of separate activities or to plan a project involving a number of related activities. Enter the Start Date in column 3, using the drop down calendar. The End Date will be calculated automatically and appear in column 4. If you need to adjust the number of allocated time units in column 2, you can do so at any time. The End Date and the Units Left will be recalculated automatically. To set up a Diary, open a Docupraxis® project file called Diary (or any other Name; e.g. Personal Diary, Work Diary). This name will be the absolute parent. Start your diary by opening a child under the absolute parent. Then go to the associated Workpage; click on Insert on the Workpage ribbon; then click on Diary. A grid will appear in the following form. It will show the date as you entered it in the node; and it will automatically enter the day of the week. By default, the date and day of the week will be the current day. If you wish to edit the date (because, the diary entry is for a different day), change the date in the grid on the Workpage and the Node date will change automatically to match the date in the grid. The day of the week will be corrected automatically. Or, if you click on the date, you will be presented with a calendar from which you can choose the date. To add entries to your diary, simply add a node in the Structure and follow the procedure above. How you arrange your Diary entries is entirely up to you. You may arrange them in the Structure as a continuing series of dates; or you may wish to break them down by week, month or year. When analysing any future scenario, we have to take into account various possibilities. In any but the simplest of cases, keeping track of the likelihood of any possible sequence of events quickly becomes difficult. The Probability function of the Docupraxis® program can help. The Docupraxis® program allows you to attach a probability to each node of your structure. The probabilities you enter are concerned only with siblings. In other words, at each level of the Structure you are simply estimating the likelihood of each of any number of mutually exclusive possibilities occurring. We call these percentages at sibling level "local" probabilities. The probabilities of each cluster at each level (the 'local' probabilities) total 100%. At each stage, we are saying, if this situation arises. what are the chances of each of the possibilities. The Docupraxis program will then calculate the "global" probabilities; i.e. starting from the top of the tree and working down to where we are now, what are the chances of following each route through the Structure to its conclusion. For example, the likelihood of the sequence A, B2 and C6 occurring is 2%. As events develop, the percentages need adjusting. Once again, you need only concern yourself with "local" probabilities, the Docupraxis®program will adjust the "global" probabilities. If. for example, we know that B2 is not going to occur: i.e we give it 0% probability), the program will ask us to adjust the probabilities for B1 and B3. When we have done this, the Docupraxis program will automatically recalculate the probabilities for C1, C2, and C3 and for C7, C8 and C9. The probability facility is particularly useful for assessing complex situations: e.g. wars, political scenarios, marketing strategies, sales/profit forecasting..
Open a project, called Purchase Record. Purchase Record will be the absolute parent. Decide how you want to organise your Purchase Record file (e.g. simple sequence of purchases in date order; purchases by category). Add children to the absolute parent in line with the way you wish to organise the project. 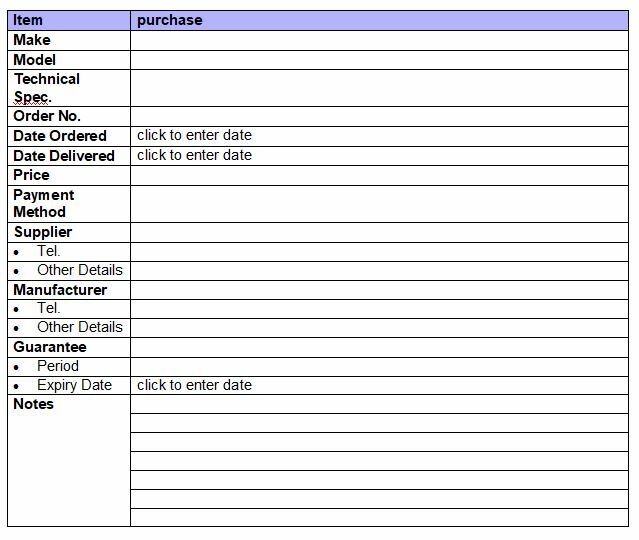 If you decide on a simple record of all purchases in date order, simply click on the first child node, enter the name of the product purchased and insert a purchase record form on the associated Work page. Complete the purchase record form. Drop down calendars are provided for the date lines. If you have decided to set up categories of purchase (e.g. cars, kitchen, garden) open a child under the appropriate category and then proceed as above, using the category headings as the parents. If you have used the Docupraxis® program for a while, you will realise you can use it to construct a simple subject database. Whatever the subject, the flexibility of the Structure and the facilities of the Workpage make it an ideal means of gathering, organising and storing information on any subject.